I went to the Influence Network Conference last week (just got back yesterday) and bought myself a brand new coffee mug and a spoon that says 'A little bit of coffee and a whole lotta Jesus'. As it's a new cup and spoon as well as a new month, what better subject to write about than Jesus and coffee? There is a whole lot of Jesus to be discovered with a fresh cup of coffee in the mornings and I'd love to share what I find in the next 31 days. I've never done anything like this and even usually stay away from photo challenges, but a writing challenge sounds rather intriguing. Looks like my kind of series. 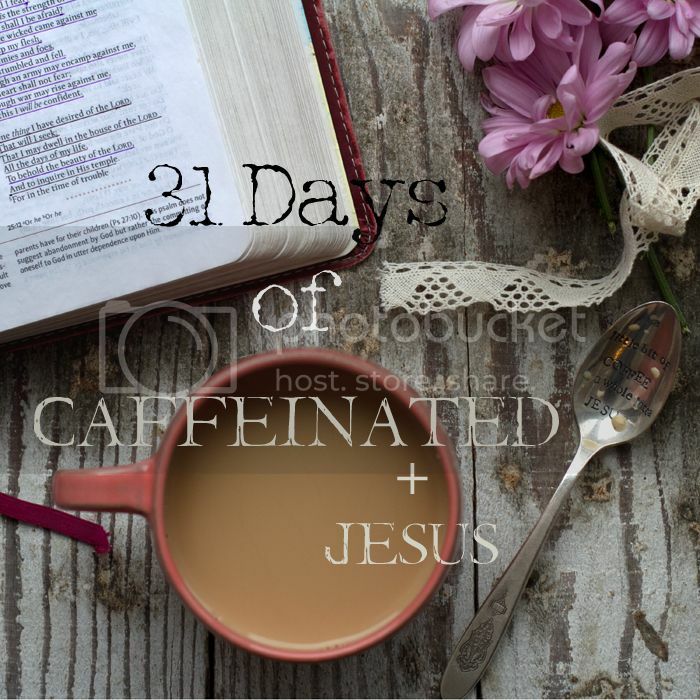 I did "31 Days of Coffee Talk With Jesus" last year. Looking forward to following your posts! you are speakibg my language, girlie! coffee, jesus, 31 days...YES!! !